To revive antibiotics and devise new drug designs, Georgia Tech researchers team up with Oak Ridge’s Titan supercomputer. AcrAB:TolC in the cell envelope. There are six copies of AcrA (orange) bridging the gap between AcrB (blue) and TolC (yellow). Image courtesy of James Gumbart/Georgia Tech. Antibiotic resistance is a growing medical crisis, as disease-causing bacteria have developed properties that evade or overcome the toxic effects of many available drugs. More of these microbes are resistant to multiple medications, limiting physicians’ options to combat patients’ infections. As a result, a range of conditions – including pneumonia, bloodstream infections and gonorrhea – have become more dangerous and more expensive to treat, increasing healthcare costs by up to $20 billion annually. As researchers seek new antibiotics, they must overcome the mechanisms these microbes have evolved to survive. Most of today’s medications don’t work well against Gram-negative bacteria, which are difficult to penetrate because they are surrounded by two membranes with a cell wall sandwiched in between. (Gram-positive bacteria lack the outer membrane.) Gram-negative bacteria also deploy other defense systems: they assemble an assortment of membrane proteins into elaborate defensive structures known as efflux pumps that allow the cells to expel microbe-killing drugs before they work. That’s where simulations can help. Over the long term, Gumbart would like to model the molecular dynamics – how molecules in efflux pumps interact – with the goal of rendering these defenses harmless. As one step in that process, Gumbart and his colleagues have zeroed in on a critical component of efflux pumps: the adaptor protein AcrA, which links the efflux pump components on the inner membrane with those on the outer membrane. “We know from various structural data that AcrA is a key component of the pump, bridging the gap between AcrB and TolC,” two other vital membrane proteins. “Whether it has any role beyond a structural one, we don’t know for sure,” Gumbart says. 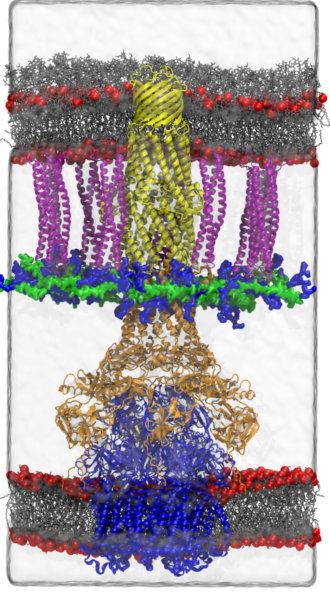 To better study this protein, Gumbart and his team have used Titan, the Cray XK7 supercomputer at the Oak Ridge Leadership Computing Facility, a Department of Energy (DOE) user facility, to simulate the shape and related stability of AcrA as it interacts with other efflux pump components. An allocation of 38 million processor hours from DOE’s Innovative and Novel Computational Impact on Theory and Experiment (INCITE) program supports their work. The research also relies on NAMD, a molecular dynamics code developed by the National Institutes of Health Center for Macromolecular Modeling and Bioinformatics at the University of Illinois, Urbana-Champaign, to simulate large biomolecular systems like this one in parallel on large numbers of computer processor cores. To construct their simulations, the team took advantage of a newly developed model of both membranes and the cell wall of the Gram-negative bacterium E. coli in atomistic detail. “To understand the assembly process, we must consider the environment in which it happens, namely the periplasm, which is the space between membranes,” Gumbart says. “The periplasm includes a number of proteins as well as the cell wall, a thin mesh that gives bacteria shape and stability in a variety of environments.” The researchers placed AcrA within an efflux pump structure that included partner proteins AcrB, from the inner envelope, and TolC, from the outer envelope. Such simulations also can test the effects of EPIs that Gumbart’s collaborators already have designed, providing valuable information about which drug candidates might prove most effective and should be studied further. Gumbart and his team gathered a trove of data in just one year. “It would have taken at least four to five years to obtain using common supercomputing resources,” he says. Team members include Jerry Parks of Oak Ridge National Laboratory; Jerome Baudry of the University of Alabama, Huntsville; Helen Zgurskaya of the University of Oklahoma; University of Tennessee, Knoxville graduate student Adam Green; and Georgia Tech graduate student Anthony Hazel. ‘Quantum dots’ mess with bacteria’s defenses, allowing antibiotics to work. 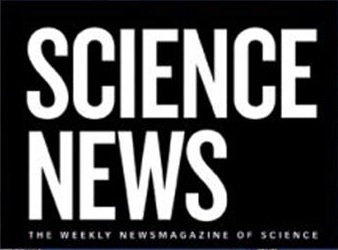 Quantum dots, previously investigated as a tool to trace drug delivery throughout the body or to take snapshots of cells, are made of semiconductors — the same kind of material in such electronics as laptops and cellphones (SN: 7/11/15, p. 22). The new quantum dots are tiny chunks of cadmium telluride just 3 nanometers across, or about as wide as a strand of DNA. When illuminated by a specific frequency of green light, the nanoparticles’ electrons can pop off and glom onto nearby oxygen molecules — which are dissolved in water throughout the body — to create a chemical called superoxide. When a bacterial cell absorbs this superoxide, it throws the microbe’s internal chemistry so off-balance that the pathogen can’t defend itself against antibiotics, explains study coauthor Anushree Chatterjee, a chemical engineer at the University of Colorado Boulder. Chatterjee and colleagues mixed various amounts of quantum dots into different concentrations of each of five antibiotics, and then added these concoctions to samples of five drug-resistant bacterial strains, such as Salmonella and methicillin-resistant Staphylococcus aureus, or MRSA. In more than 75 percent of 480 tests of different antibiotic combinations on different bacteria, the researchers found that lower doses of antibiotics were required to kill or curb the growth of bacteria when the medicine was combined with quantum dots. One limitation of this treatment is that the green light that activates the nanoparticles can shine through only a few millimeters of flesh, says coauthor Prashant Nagpal, a chemical engineer also at the University of Colorado Boulder. So these quantum dots could probably be used only to treat skin or accessible wound infections. The researchers are now designing nanoparticles that absorb infrared light, which can pass through the body. “That could be really effective in deep tissue and bone infections,” Nagpal says. 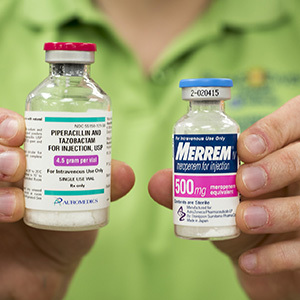 Using three antibiotic drugs thought to be useless against MRSA infection — piperacillin and tazobactam (bottle on left) and meropenem — Washington University researchers, led by Gautam Dantas, PhD, have killed the deadly staph infection in culture and in laboratory mice. 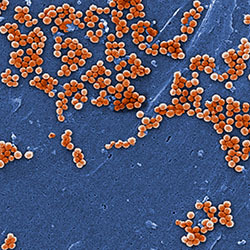 Three antibiotics that, individually, are not effective against a drug-resistant staph infection can kill the deadly pathogen when combined as a trio, according to new research. 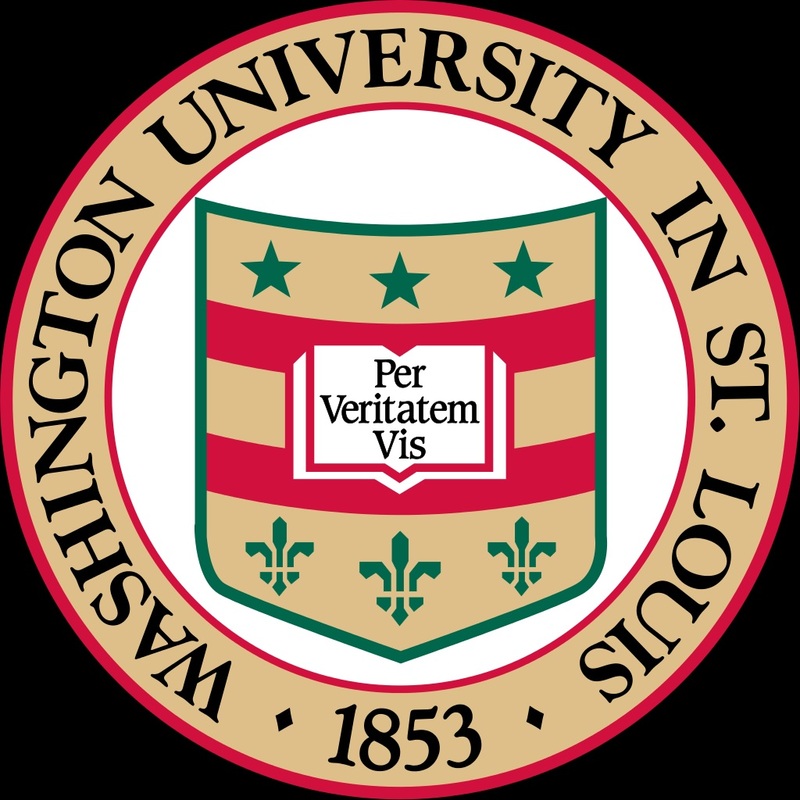 The researchers, at Washington University School of Medicine in St. Louis, have killed the bug — <a href="http://“>methicillin-resistant Staphylococcus aureus (MRSA) — in test tubes and laboratory mice, and believe the same three-drug strategy may work in people. The study is published online Sept. 14 in the journal Nature Chemical Biology. Shown are clumps of MRSA bacteria magnified more than 2,300 times by an electron microscope. Working with collaborators in the microbiology laboratory at Barnes-Jewish Hospital​ in St. Louis, Dantas’ team tested and genetically analyzed 73 different variants of the MRSA microbe to represent a range of hospital-acquired and community-acquired forms of the pathogen. The researchers treated the various MRSA bugs with the three-drug combination and found that the treatments worked in every case. 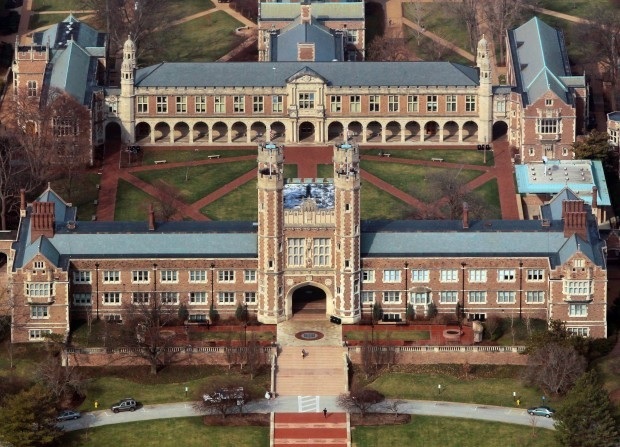 Funding for this research comes from the National Institute of Diabetes and Digestive and Kidney Diseases and the National Institute of General Medical Sciences, and the National Institute of Allergy and Infectious Diseases of the National Institutes of Health (NIH). Additional funding comes from an NIH Director’s New Innovator Award and a Ruth Kirschstein National Research Service Award from NIH. If you’ve ever been prescribed antibiotics to fight the flu, you’ve experienced first-hand how difficult it is for doctors to distinguish between bacterial infections and viral infections (the flu is the latter). Oftentimes, doctors will prescribe antibiotics just in case it’s a bacterial infection so the patient will recover sooner. Early administration of antibiotics can halt bacterial infections before they spiral out of control, but the practice has led to the overuse of our most precious drugs. Fortunately, a team of researchers announced yesterday that they may have solved this problem in the form of a blood test. It works by detecting the proteins produced by a patient’s own body in response to infection to quickly determine whether they have been sickened by a bacterial strain or a virus. It returns a result within minutes rather than the hours or days required with typical clinical tests. The new test could lengthen the useful life of antibiotics such as clindamycin, one of the most essential drugs, according to the World Health Organization. Today’s tests aren’t just slow, they also require that the infectious agent has multiplied enough inside the patient’s body that the levels are high enough to be detected, and can misidentify the root cause when a person has concurrent infections. To overcome these hurdles, scientists from Israeli biotech company MeMed looked to the patient’s own body to see which molecules the immune system produces when fighting off different kinds of infections. It relies on the fact that bacteria and viruses can trigger different protein pathways once they infect the body. A novel one, called TRAIL, was particularly high in viral infections and depleted during bacterial ones. They combined this with two other proteins – one is already used in routine practice. The rapid test could slow the rampant spread of antibiotic resistance in bacteria. Inappropriately prescribing antibiotics to to combat a virus like the flu or using too low of a dose of antibiotics encourages bacteria to evolve traits that protect them from commonly used drugs. Antibiotic misuse is not a small problem. The CDC estimates that nearly half of all antibiotics should never have been prescribed in the first place, and antibiotic resistant bacteria infect around 2 million people each year in the United States, killing over 23,000 of those infected. Virus expert Jonathan Ball from the University of Nottingham is cautiously optimistic, telling the BBC’s Mundasad that while MeMed’s new test might reduce inappropriate antibiotic use, “It will be important to see how it performs in the long term. A plastic storage crate filled with backyard dirt might have yielded the most powerful antibiotic discovered in decades. Employing a novel microfluidic device to grow soil bacteria, researchers in Boston and Bonn, Germany, say they have identified a new type of antibiotic that kills the bacteria that cause pneumonia, staph, and blood infections. The antibiotic, named teixobactin, has yet to be tested in people. But it cured mice of these infections, and it is so different from current antibiotics that the scientists, who reported their findings today in the journal Nature, said they hoped germs might never become resistant to it. Others said resistance to any antibiotic is inevitable, but they called the discovery important nonetheless. “It brings back the notion that there are lots of unanticipated surprises still lurking in the soil,” says Gerald Fink, a microbiologist at the Whitehead Institute, part of MIT. Other important antibiotics, including tetracycline and streptomycin, were also discovered in soil bacteria. But starting in the 1960s, it looked as if the earth might not give up any more of its natural defenses. That is because most soil germs can’t be grown in the lab and studied. Scientists switched to other approaches, but very few new classes of antibiotics have been discovered. 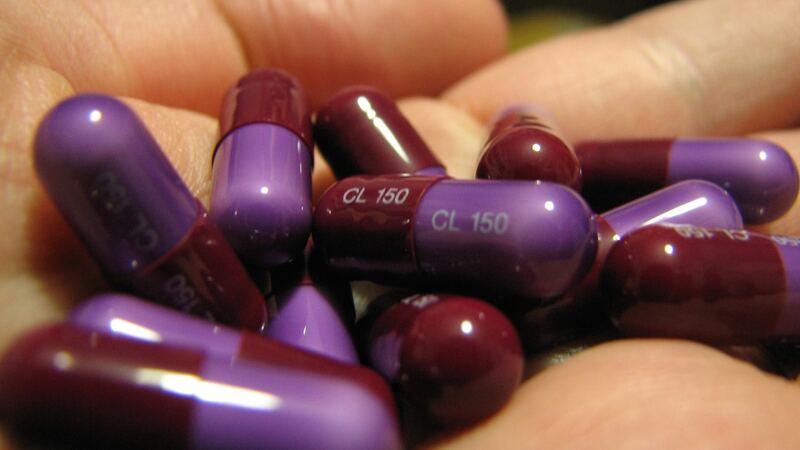 With antibiotic resistance increasingly common, last year the World Health Organization predicted that this “discovery void” could lead to a post-antibiotic era, in which minor injuries and common infections could become killers again. The researchers discovered teixobactin using a new technology for soil prospecting that was developed by Slava Epstein, a biologist at Northeastern University in Boston. He devised a two-inch-long microfluidic chip that acts as a portable diffusion chamber. The researchers diluted dirt, including some from their own backyards, to capture a single soil microbe in each of 306 tiny holes on the chip’s surface. They then put the chip in a tub of dirt, allowing the germs to remain in their natural environment. “Essentially, we’re tricking the bacteria,” says Kim Lewis, the director of the Antimicrobial Discovery Center at Northeastern University, who led the research. Only about 1 percent of soil bacteria have ever been cultured, according to the researchers. Teixobactin appears to kill bacteria by binding to a fat molecule that is a building block of their cell walls. That’s an unusual mechanism, says Tanja Schneider, a researcher at the University of Bonn who worked on the project. Bacteria might not easily develop resistance to it, if ever. Other scientists say it is unlikely any drug could outwit bacteria indefinitely. “There’s not one single example where resistance hasn’t occurred,” says Henry Chambers, director of clinical research services at the University of California, San Fransisco, and an expert on antimicrobial resistance with the Infectious Diseases Society of America. Still, if it proves safe to use in people, teixobactin could provide a fresh weapon to doctors. 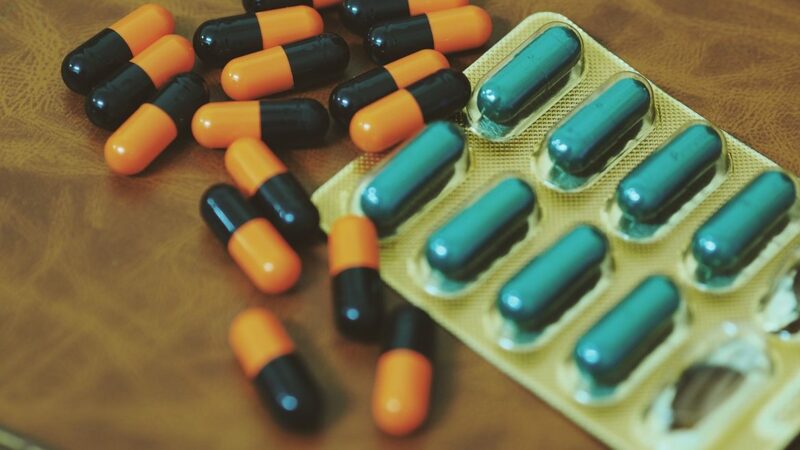 A study by the Pew Charitable Trusts in 2014 found that only 38 new antibiotics were in development by pharmaceutical companies, even though about 23,000 people die in the U.S. each year from drug-resistant bacteria. Teixobactin has been licensed to NovoBiotic Pharmaceuticals in Cambridge, Massachusetts, which collaborated on the research. Lewis says it will take about two years before the drug can be tested in volunteers.